Avenir is a traditional linear sans typeface created by Adrian Frutiger and published by Linotype. 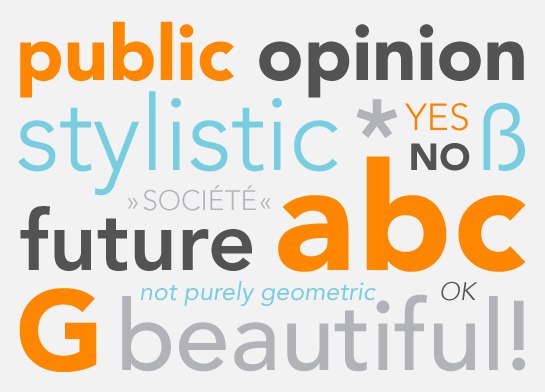 Avenir, which means “future” in French, features a versatile harmonious design with vertical strokes that are thicker than the horizontals that makes it great for both texts and headlines. A font description published on Wednesday, April 3rd, 2013 in Fonts, Linotype by Andrei that has 4,066 views.